The objective of Agtech 2030 is to make eastern Götaland a world-leader in agricultural technology. The programme is one of those selected by Vinnova this year as a Vinnväxt programme. It has a total budget of nearly SEK 200 million, of which over SEK 70 million come from Vinnova. Agtech 2030 concerns establishing an innovation centre for tomorrow’s agriculture, focussing on, for example, sensors, digital technology, artificial intelligence and the internet of things. The initiative for the project comes from Linköping University, Region Östergötland, AgroÖst, the Rural Economy and Agricultural Societies, the Vreta Kluster business park, and companies and organisations working in the green industries or other growing fields of technology. “Our selection by Vinnova from a strong field of competitors is the result of a fantastic collaboration from a large team of actors who have all worked for many years to develop agriculture, in different ways and from different perspectives. 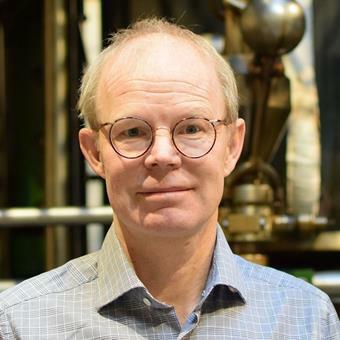 We are now planning to unite our strengths in earnest and we are honoured and delighted to have the opportunity”, says Per Frankelius, researcher at LiU and process leader for Agtech 2030. “We are enormously grateful to everyone who has believed in us and the idea. Region Östergötland, companies, organisations, the university, individual researchers and committed individuals who have all contributed to this in various ways”, says Uno Wennergren, professor of theoretical biology and, together with Professor Fredrik Gustafsson, leading the scientific side of the initiative. But Agtech 2030 is not only about technology. “Technology is hugely important in agriculture, but it is just as important in our initiative to develop methods for business development and innovation”, says Charlotte Norrman, researcher in entrepreneurship and assistant process leader. The two other innovation environments awarded financing concern the digitisation of healthcare in Värmland and the transition to eco-friendly processing industry in Västra Götaland. Vinnova has awarded a total of nearly SEK 200 million to the three initiatives for the coming 10 years. “In order to create long-term sustainable growth, we must restructure complete systems, such as those for production and welfare services. The regional innovation centres we are now supporting have the potential to become leading lights in international research, and in this way important for Sweden”, says Darja Isaksson, Vinnova’s general director, in a press release.